This is the only hyperextension of its kind that provides multiple variations. The dual system allows you to lock in at the 45-degree angle, or you can use the adjustable foot roller system and set the adjustable seat in the flat position to perform traditional hyperextensions. The multiple adjustments, including the footplate allow for precise positioning for all body sizes. You can also perform a great crunch exercise to train the abdominal. 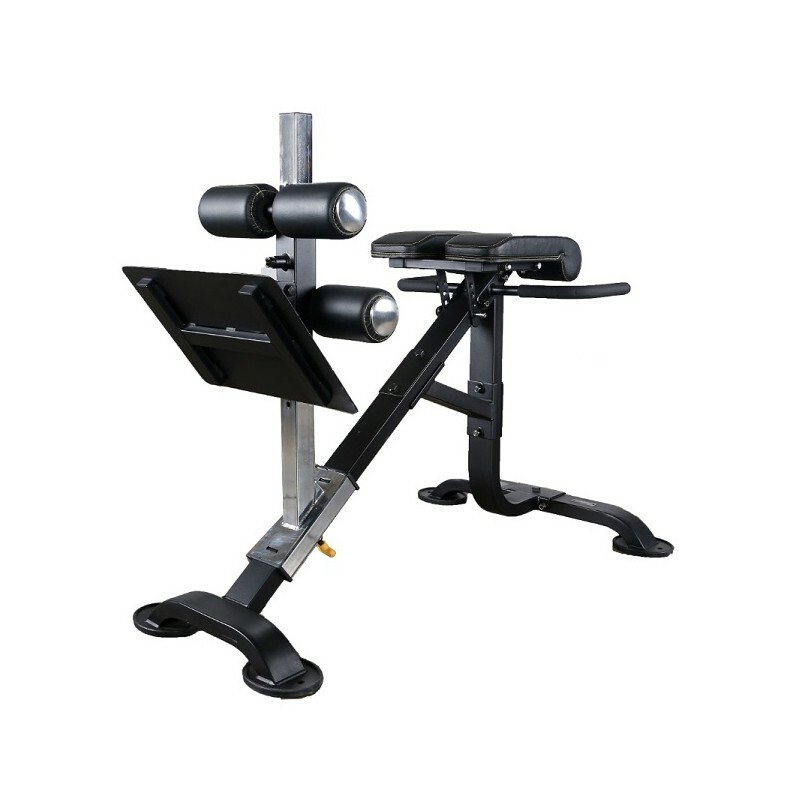 This is the only bench of its kind that provides access to performing the hyperextension in a fixed 45 degree angle or at the traditional horizontal position. 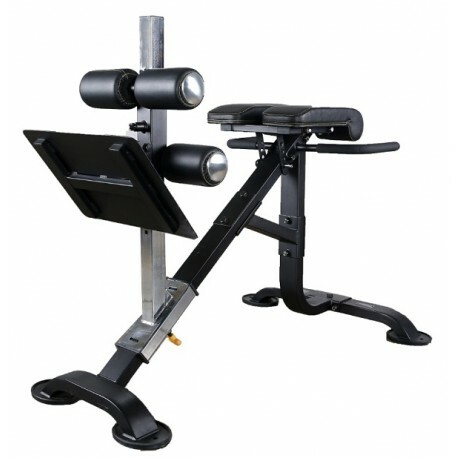 Numerous adjustments are available on the foot plate, rollers and seat to accomplish three different movements for all body types.